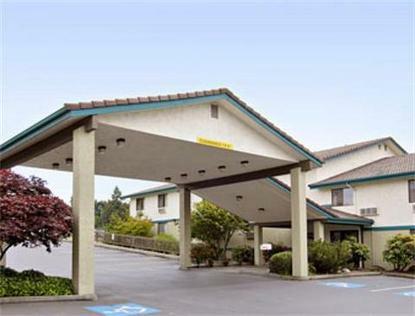 The Super 8 Federal Way is conveniently located on Interstate 5 Exit 142B, The property features 90 rooms, Super Start Breakfast, Free Wireless Hi Speed Internet, Large pull thru RV and Truck parking, Interior Corridors and Guest laundry. Several fast food and full service restaurants with in a short walking distance of property. Celebration Park 2 miles, DeVry University 1 mile, Puyallup Fairgrounds 9 miles, Tacoma Dome 9 miles, King County Aquatic Center 2 miles and Emerald Downs Horse Track 4 miles.